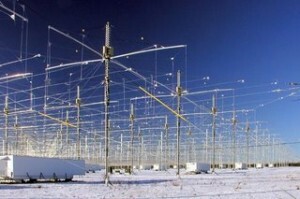 You don’t have to spend much time in the rabbit hole before your start hearing about a technology called HAARP , and rumors of this technology being used to manipulate weather and even earthquakes. So if you have any questions or want a better understanding of what the hell HAARP is , you should listen to Nick Begich to get the run down. Of course there is more to Nick than his in depth knowledge of HAARP , he is very articulate and well versed in the subjects of the environment , energy , geo -politics , education and technologies. Nick uses his knowledge of over zealous government projects to delve into the subjects that most academics don’t want to get involved in, for fear of loosing their grants or funding. When you go down the rabbit hole of manipulating weather and earthquakes for profit and even mind control , you better come with facts and data to give your research credibility, and this is why I introduce HAARP and Nick Begich together. In the Documentary below “Angels Still Don’t Play This Harp ” Nick give you a pretty good over view of the info he first introduced in his book by the same name. Here Nick Talks about technology and while incredibly useful can also be used to manipulate and control , so its important to be aware of this as it occurs on a daily basis. Remember from a purely ” Infinite Consciousness Perspective ” everything is really technology , even the human body is a form of technology that consciousness manipulates. But lets not digress , back to planet earth , listen to what Nick has to say.